We are delighted that you have chosen Faith Lutheran Church for the site of your wedding, which implies you desire a Christian wedding. A marriage ceremony may be performed by a representative of the government, but you have chosen the church, recognizing that God will be the one to bind your lives together. The wedding celebration is one of the most joyous occasions that you and your spouse-to-be will share. In the presence of family and friends you pledge your love and faithfulness to each other, seeking God's seal of blessing on your covenant. In the love of Christ for his church you see a pattern for your love for each other and you begin this new relationship by asking God to enrich your life together and to make your new home a sanctuary of love, joy and peace. The information in this guide is designed to help you in making your wedding plans. Certain policies and procedures have been established by the Church Council of this parish and we ask that you plan your wedding and reception in accordance with these guidelines. Read this guide carefully and feel free to ask the pastor or administrative assistant for clarification. Please contact the church office as soon as you are ready to set the date for your marriage. A good guideline is to do this at least four to six months in advance of your preferred date. You will be penciled in on the church calendar after confirming that a pastor is available on that date. No wedding will be scheduled during Holy Week or days which are national holidays. Reservations for wedding dates and times are on a first-come, first-serve basis. Non-members may not reserve the church more than 6 months in advance. Contact the pastor to set a preliminary interview, at which time the requirements for premarital counseling will be outlined. If the organ and/or piano are to be used at your wedding, it is your responsibility to contact the organist well in advance of the wedding to arrange for the organist’s services and to set up an appointment to review and select music. Call the church office for the name and number of the organist (715-463-5388). You are welcome to supply your own accompanist. Couples need to understand that because wedding dates are usually reserved far in advance of the actual ceremony, the regular pastor or organist may not be available due to vacations or other commitments. In such instances, the church is responsible for arranging substitutes. Carefully review the policies and procedures set forth in this guide. 2. At least three sessions of premarital counseling with the Pastor will be needed for the discussion of the basis, dynamics and expectations of the couple's relationship as based on their history and personalities. The discussion will anticipate further direction of their relationship, and consider communication and problem-solving skills. 3. The wedding rehearsal, which is to be scheduled with the officiating pastor. The pastor will be in charge of the rehearsal. ALL who are in the Wedding Party should attend. Generally, this includes the bride, groom, parents of the bride and groom, maid/matron of honor, bridesmaids, best man, groomsmen and ushers (at least two). It is crucial for all people to arrive at the rehearsal at the time scheduled. Please be prompt. The rehearsal WILL begin at the appointed time. The soloists may attend, but this is not mandatory. If you wish for them to be there, an invitation is appropriate. Rehearsals are usually held the evening prior to the day of the wedding. The rehearsal normally takes between 30 and 45 minutes. Rehearsals are not the time for last minute changes in the service. Those who are to assist at the reception (if it is held in the church) should be informed either at the rehearsal or by the bride to be seated near the outside aisle so that they may quietly leave after the recessional of the wedding party and before the guests are dismissed following the marriage service. Your Marriage Service at Faith Lutheran Church will be a sacred service and all matters pertaining to your service should be planned and celebrated in that spirit with the counsel of the pastor. This sacred nature should be reflected in the selection of the vows and other choices pertaining to the content of the service and in the selection of vocal, organ and other instrumental music. The marriage service found in the Lutheran Book Of Worship (LBW) book is followed. The pastor will be happy to help you plan for personalized vows and the use of the unity candle, etc. The pastor of the congregation has been called specifically to congregation, which includes presiding at weddings. We welcome the inclusion of clergy from other denominations. The invited clergy are welcome to do as much or as little of the service as you wish. Both clergy will be present for the rehearsal. The participation of the former pastor of the congregation is not normally encouraged and must be approved by the current pastor. Music selected should reflect the praise of God, God's steadfast love in Christ as the foundation of and model for marriage and the asking of God's presence and blessing. There is a wealth of music available which fits the occasion and focus. Some modern music, although not traditional for the church, does provide the same direction. Music which focuses on the couple or on a romantic vision of love and marriage, however, is not appropriate for the service. If you desire them, make arrangements for their inclusion in the day someplace other than the service. The pastor and organist should be consulted before final decisions are made about music. Final judgement on the suitability of music rests with the pastor, using these criteria: Is it God-centered? Could you pray it? Are its words and implied meanings reverent? Appendix II provides a list of possible hymns. All vocalists or instrumentalists should perform music that enhances the worship service. The organist is the organist and /or pianist for all Faith Lutheran Church worship services, including your wedding ceremony. You are not required to use organ or piano/keyboard music; other musical instruments and vocalists may be employed. When using a wedding coordinator, the wedding coordinator will contact the organist. Otherwise, it is your responsibility to contact the organist to arrange the music. It is entirely appropriate for the guests at your Christian wedding to sing a congregational hymn. Your wedding is not for you alone. It is a public worship service. People who come to celebrate with you are worshipers, not simply spectators. Another way to involve the congregation in the wedding ceremony is through unison prayers. You will be asked to select scripture passages for inclusion in the wedding ceremony. Couples may choose any number of passages, usually 2 or 3. Readers of the scripture may be a friend or relative, and need not be the pastor. Appendix I provides a list of possible Scripture texts. Non-biblical readings may also be used, but not in the place of scripture, and need to be reviewed by the pastor. You are welcome to have the wedding photographed or video-taped. All photographers and videographers are to speak with the pastor in advance of the service. The photographer is not permitted to move up and down the aisles once the service has started. Excluding the processional and recessional, all photographs during the worship service are to be taken with available light only. Any portion of the wedding service may be posed after the service is over. Any pictures that are to include the pastor should be taken before group photos of the wedding party and families. If the schedule permits, pictures can be taken prior to the wedding service, but must be concluded at least 30 minutes prior to the starting time of the wedding. Video equipment will be set up in a location as directed by the pastor. No artificial light is permitted. All video cameras are to be placed on a tripod. Moving about the sanctuary is not permitted. Guests at the wedding should also be informed that flash pictures are not to be taken during the worship service. If you choose to hold your reception in the church, you must schedule it through the church office at the same time as you schedule your wedding, and availability is subject to time and space. The women of Faith Lutheran are not available to serve at wedding receptions. The couple is responsible for providing all food, drink, coffee, paper products, decorations, servers, and clean-up. Out of consideration to our custodians, we ask that the reception at the church conclude at a reasonable hour. We do not wish to rush you, but keep in mind that the custodian must prepare the church facilities for Sunday worship. A valid marriage license should be given to the pastor no later than the date of the rehearsal. This gives everyone time to fill out and sign the license before the busyness of the wedding day. If you choose to have HOLY COMMUNION as part of your ceremony, it must be open to the congregation and not limited to the bride and groom or the wedding party. The sacrament is always for the gathered congregation. Faith Lutheran Church is a smoke-free facility. Smoking is not permitted anywhere inside or outside of the building. This applies to the church itself, fellowship hall, classrooms and restrooms. Alcoholic beverages are not permitted on the grounds or in the building except for Holy Communion. If you plan to use the fellowship hall for the reception, you may only serve non-alcoholic refreshments. The throwing of rice is prohibited for safety and environmental reasons. Birdseed or bubbles are an alternative, but if used must be outside only and away from the doorways. No food or drinks are permitted in any part of the building except the fellowship hall or the rooms you are dressing in. The Sanctuary seats 300 people comfortably. Flowers certainly enhance the service, but their placement needs to be such that they do not restrict any aisles or the altar. We do have stands available for arrangements. The flowers may be delivered as long as the church is open, but it is suggested they be delivered as early as possible prior to the ceremony. If you wish to leave any flowers for use at the Sunday morning worship, please notify the church secretary by the middle of the week prior to the wedding, so that your gift can be acknowledged in the bulletin. Candles certainly beautify the sanctuary. The church has a stand for a Unity candle and two small candles. The Unity candle and smaller candles are to be provided by the couple. The candles behind the altar and the Christ candle may also be lit during the ceremony. The use of an aisle runner is discouraged because of the difficulty of securely fastening the runner to the front of the church and because the folds in the runner make it easy to trip. If an aisle runner is to be used, it is your responsibility to see that it is placed in the sanctuary at least one hour prior to the time of the ceremony. Plastic aisle runners are not recommended. Bows and small flower arrangements may be placed on the ends of the pews in the sanctuary, but no nails, screws, or tape will be allowed to be used to affix them to the pew ends. The color of the pastor’s stole, paraments, and liturgical banners will be the liturgical color of the day of your wedding. If you wish to have the sound system used, it requires one of our trained members to operate, no exceptions. If you are planning on having a bulletin, you need to decide if you are doing it yourself or if you would like the church to provide one. If the church is providing the bulletin, keep in mind: 1) There is a cost for the church to provide one; 2) You will need to provide all the information to be included in the bulletin no later than 2 weeks prior to the wedding date. 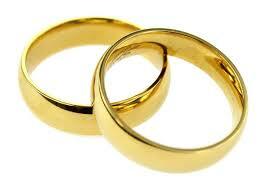 All fees are payable prior to the start of the wedding rehearsal. Adopted and approved by Faith Council, July 13, 2014.